http://www.clarkpestcontrol.co.uk/edinburgh | Call 0131 297 4646 today for a free survey and advice. 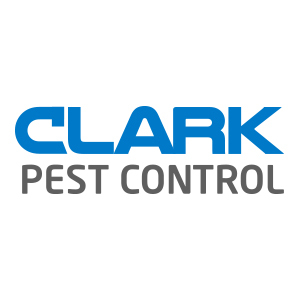 Clark Pest Control deliver pest prevention and pest bird control services in Edinburgh, Midlothian, West Lothian, East Lothian, Fife and the surrounding areas. Domestic Pest Control Edinburgh. Our expert team of highly skilled pest technicians are here to help you with any pest related problems today. Get a rapid response to all rodent, insect and pest bird related issues today. Common domestic pests help our clients to get rid off are Rats, Mice, Black Ants, Wasps Nests, Cockroaches, Bedbugs, Fleas, Dermestes Beetle, Moths, Flies Pigeons Gulls and more... Get rid of your unwanted pest today with Clark Pest Control Edinburgh. Commercial Pest Control Edinburgh. Reputation and health & safety are so important these days. Protect your business today with Clark Pest Control. We have a broad range of services that can be tailored to meet the needs of your business. From pubs, cafe's, deli's and restaurants; through industrial & hospitality; to the high specification audit requirements of the Food & Drink manufacturing industry we at Clark are here to help you today. Get in touch for a FREE survey and quote to protect your business today. Common commercial pests help our clients to get rid off are Rats, Mice, Black Ants, Wasps Nests, Cockroaches, Bedbugs, Fleas, Dermestes Beetle, Moths, Flies Pigeons Gulls and more... Get rid of your unwanted pest today with Clark Pest Control Edinburgh. Pest Bird Control Edinburgh. Pest birds can pose an immediate health and safety risk as well as leaving unsightly fouling and damage to buildings and structures that they choose to make their home. Clark Pest Bird Specialists have vast experience in installing pest bird deterrent systems such as pest bird netting and pest bird control spikes. Get in touch today to get a FREE survey and quote for any bird control issues. Call 0131 297 4646 today for a free survey and advice. We are here to help... Clark Pest Control, Suite 133, 5 Semple Street, Edinburgh, Edinburgh City, EH3 8BL. 0131 297 4646. David Clark founded Clark Pest Control in Edinburgh in 2012 after many years working in the environmental services industry. With vast experience in helping customers find the right solution for their pest problem David has helped Clark Pest Control grow into a dedicated team of bird control and pest experts that are ready to help you today throughout the UK. http://www.clarkpestcontrol.co.uk/edinburgh | Call 0131 297 4646 today for a free survey and advice. Reputation and health & safety are so important these days. Protect your business today with Clark Pest Control. We have a broad range of services that can be tailored to meet the needs of your business. From pubs, cafe's, deli's and restaurants. Pest birds can pose an immediate health and safety risk as well as leaving unsightly fouling and damage to buildings and structures that they choose to make their home. 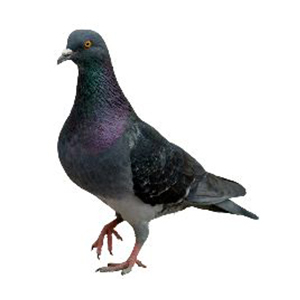 Clark Pest Bird Specialists have vast experience in installing pest bird deterrents.